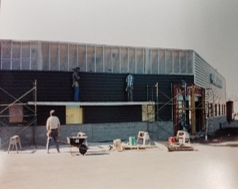 Our story began back in 1947 as a small welding shop in downtown St. Cloud, Minnesota-steadily growing to where we are today. In 2011, we began a major transformation from a 55-person, 2-location welding supply company to a nearly 100-person, 4-location, distribution and automation and robotics company today. Central Welding Supply opens in downtown St. Cloud. Owned by Carl Shuttan. 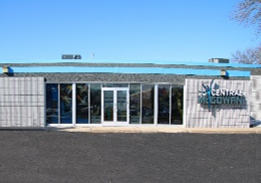 Central Welding Supply moves to current 3,200-sq.ft. location. 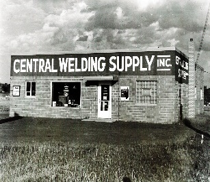 Leo Henkemeyer (grandfather of current CEO) joins Central Welding as a salesman. He and Leo Rahm purchase Central Welding. Company has 6 employees. The business grows. Leo Henkemeyer buys out Leo Rahm. 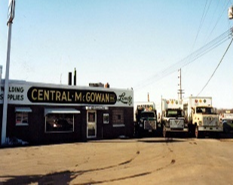 Central McGowan is formed when Central Welding Supply merges with McGowan Welding of Little Falls. The company is owned by Leo Henkemeyer and Frank McGowan. Frank McGowan retires. Leo Henkemeyer buys Frank's shares in the business. Ray Kosel becomes general manager of Central McGowan Inc. (CMI). Major expansion (17,600 sq. ft.) including remodel that adds 14,600 sq. ft. and purchase of adjacent building for an additional 3,000 sq. ft.
Ray Kosel retires. Pete Breer, Jeff Skumautz, and Al Prozinski become Vice President and Management Team. Company has 24 employees. 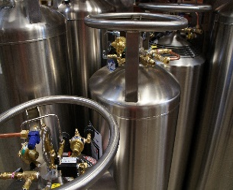 CMI adds cryogenic pumping system, lab, and bulk storage, and ability to pump on-site. Major major expansion and remodel in St. Cloud add 13,000 sq. ft. Two warehouse additions in Little Falls add another 10,000 sq. ft.
Company has 24 employees, 15,000 sq. ft. in St. Cloud and 10,500 sq. ft. in Little Falls. Joe Francis, the company's present CEO/President, joins the customer service team. CMI purchases and gets into the carbonated beverage (BevCarb) business. Cindy Francis (daughter of Leo Henkemeyer) takes over as CEO, beginning second generation of family leadership. Pete and Al retire. Jeff Francis (Cindy's husband) becomes Vice President, then assumes CEO. After the sudden and unfortunate passing of Jeff, then CEO/CFO, Cindy returns as CEO, Joe accepts the position of VP and CFO. He works with the management team to lead the company through succession planning and a new leadership/company structure. Complete warehouse expansion in St. Cloud. Joe becomes President/CEO of company, and third generation of family leadership. Cindy assumes Chair role on newly created Board. Company undergoes a rebrand, launches a new logo, the "WE WORK FOR YOU" tagline is born. Pro-Fect Automation in Little Falls is purchased and moved to a 12,000 sq. ft. building adjacent to the home office in St. Cloud. The Little Falls Store is relocated to the former Pro-Fect building and remodeled. A new site is purchased in Burnsville and the New Prague store moved to the new site. Pro-CO2 is purchased. Company continues to grow. Company launches ColdZERO Dry Ice--further diversifying its portfolio of offerings. The company's number of employees nears 100.